Born worlds apart, Lily and Zenobia unite and fight to survive in murderous 17th century London, in a hard-edged, glittering novel. In late seventeenth century London two women, one white, one black, stake everything to prevent a manipulative mogul destroying them. Zenobia, born in poverty, grasps that her only hope of controlling her own life is to capitalise on her looks; Lily, brought to London on a sugar and slave ship as a toy , educated alongside her mistress but used by her master, lives as a kept woman. As their story weaves and folds through a murky and merciless London, both find themselves pitted against a ruthless man the world knows as John Crace. London’s rich but festering possibilities as a rapidly-changing multinational city are breathtakingly painted, and pungent milieux ranging from plague pits to prisons to pastry kitchens and Pickled Herring Stairs – are vividly brought to life. A fascinating and debauched romp, moving with dream-like speed through an incredibly vivid seventeenth-century London. Surely the best-written bodice ripper ever published. 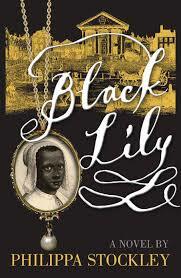 Make no mistake, this is a sharp and quickly-paced story.... Black Lily is a deliciously satisfying read and, like the sweetmeats, on eco be gobbled up greedily. Black Lily would clearly make a terrific TV series. Both women, lazily dismissed as “toys” by men, get their revenge. Stockley’s deftly plotted novel has a sting in the tale too. You have to go back to the first chapter to see how beautifully she’s set the whole thing up.